I read the incredible trilogy 'His Dark Materials' by Phillip Pullman. Barren landscapes of dazzling ice and snow with equally dazzling Northern Lights crackling and dancing across the sky, and brave polar bears were featured in the books. 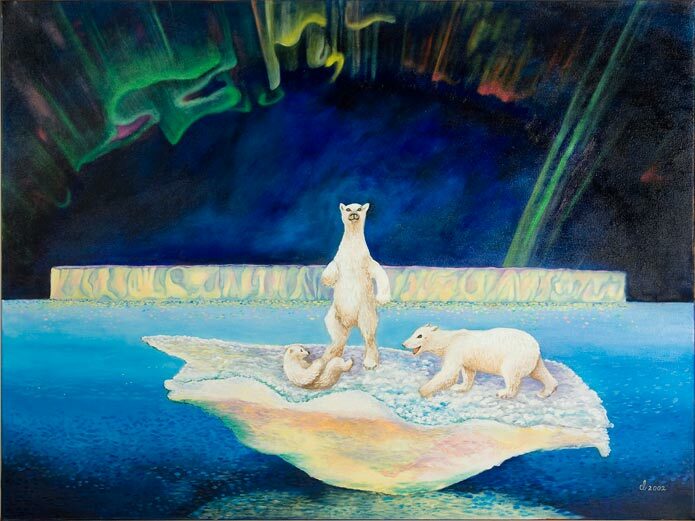 I grew up in Canada and have seen the amazing sight of the Aurora Borealis, and I have always loved the bears I saw at the Vancouver Zoo. 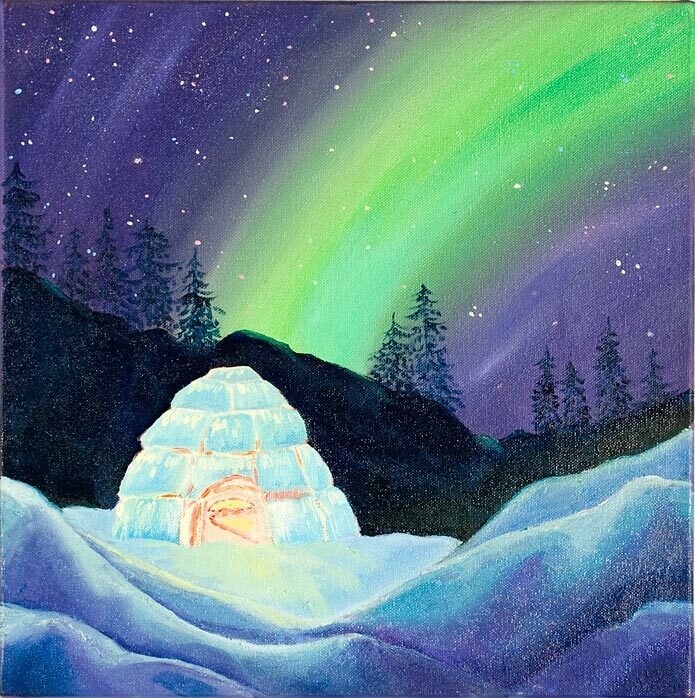 This, and the memories of eating Neapolitan Ice-cream gave me the inspiration to paint a series of icy images!